This part of the website provides more details on the various activities offered to MAIH members to help them become more independent and integrate into the community, while also raising public awareness. There is one place available for the weekend of February 8 to 10 : "treat yourself !" Discover New York City from April 19 to 22, with our program Broaden Your Horizons ! You can still register for appel picking! Participants in these workshops learn to maximize their community involvement. The various get-togethers and discoveries strengthen our members’ ability to act, while fostering their social integration and raising public awareness. Participants in these workshops develop and practice skills they can apply in their daily lives. More than 150 places in various types of workshops are offered each year. From vacation camps and the Broaden Your Horizons program to Weekends in the Country, all our out-of-town stays offer MAIH members an opportunity to develop their skills. These special moments help break their isolation and give them a chance to form strong bonds with each another. This section contains more details on the various activities offered to people with MAIH family memberships, including discussion groups, information sessions and talks, but also family outings. 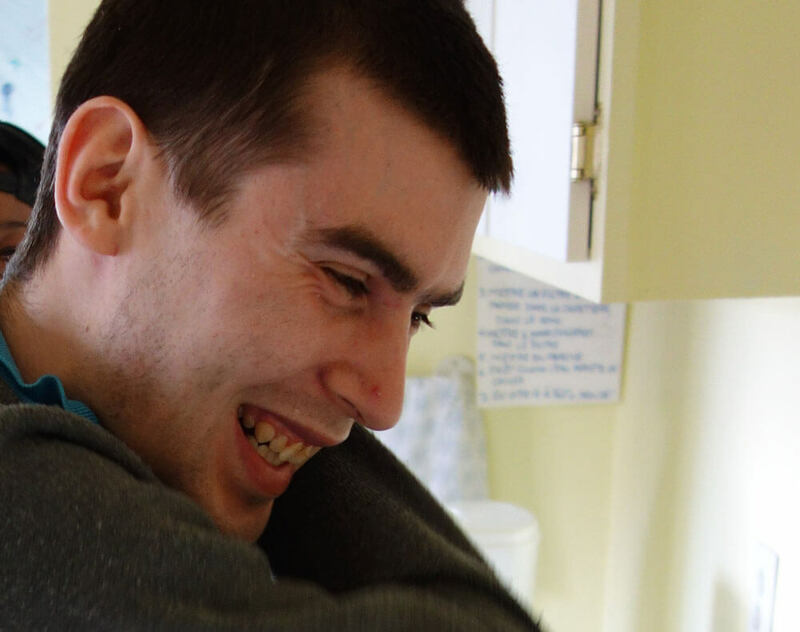 designed for families of people living with intellectual disabilities and focused on a variety of themes, including sensitive topics such as planning for the future, sexuality, and emotional relationships. The 633 Club is a place open to MAIH members who wish to get together and socialize with other members. It provides them with an opportunity to learn new things, meet new people and lend each other support through activities designed to break their isolation and help them form meaningful relationships. 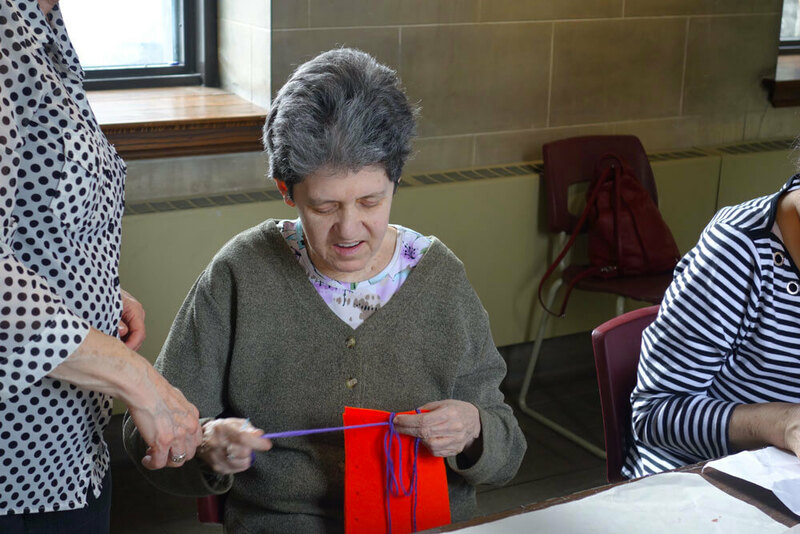 This non-facilitated workshop helps them develop and apply various skills needed in daily life and social interactions, while also giving them a sense of belonging. Saturdays from 12 a.m. to 4 p.m. at the MAIH. 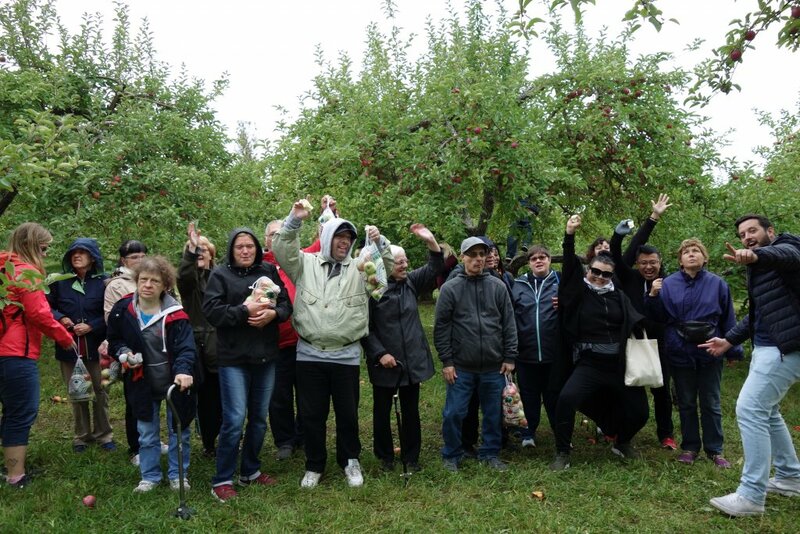 This workshop provides an ideal opportunity for getting involved and raising public awareness as it shows that people with intellectual disabilities can also give back to society by volunteering. It helps participants find fulfillment and develop a sense of pride and self-confidence. The visits paid to organizations also raise awareness of intellectual disability in the community at large. Currently, this workshop is given exclusively at the Institut universitaire de gériatrie de Montréal (IUGM) to residents of residential and long-term care centres (CHSLDs). Fridays from 1:00 p.m. to 4:30 p.m. 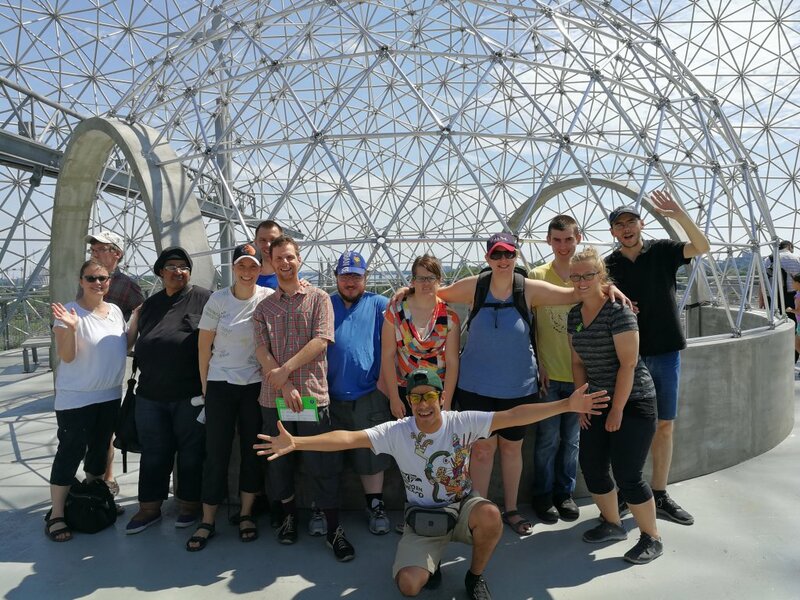 This workshop gives participants a chance to discover the different faces of Montreal though visits to cultural, sports and community venues and activities that are related to their goals and interests. For example, they visit recreation centres, community organizations, and libraries, and attend shows and cultural centre exhibits. Saturdays from 1:30 p.m. to 4:30 p.m. in autumn and winter sessions. 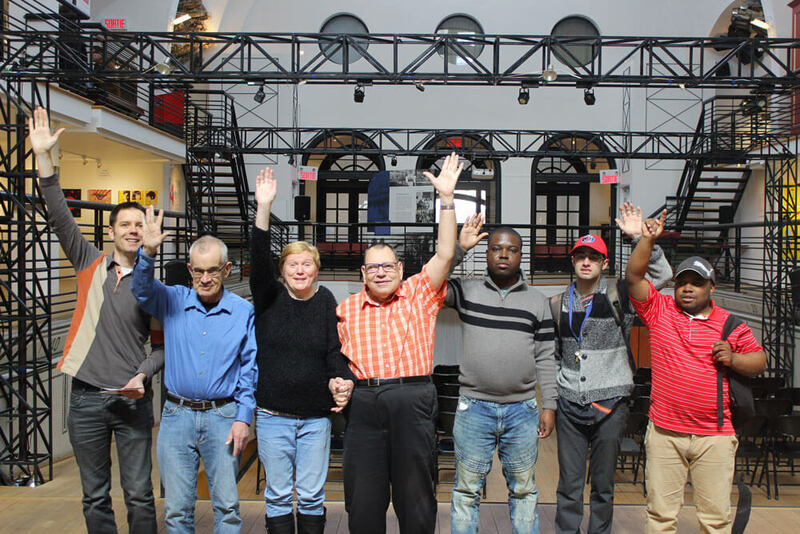 Théâtre Espace libre, Carrefour d’éducation populaire de Pointe-Saint-Charles, d’un œil différent, association sportive et communautaire du centre-sud, bibliothèque Benny et Fablab, YMCA centre-ville, musée des artisans. In summer, Opening Doors to Montreal become What’s Happening in Montréal? The participants can discover some of the events and festivals that make summertime in Montréal so much fun. Thursdays from 5:00 p.m. to 9:00 p.m. Fridays and Saturdays from 1:30 p.m. to 4:30 p.m. In the summer session only. A cultural activity organized in collaboration with Exeko. It will be an opportunity for MAIH’s members to express their views on the subject of accessibility in the cultural milieu. This workshop provides an opportunity to meet people, address the challenges that arise at this stage of life and get ready for what lies ahead. You will be participating in lively discussions and a variety of activities, organized outings and parties. Developed only at the MAIH, this workshop is unique and given nowhere else. On Tuesdays, from 9:30 a.m. to 12:30 a.m. at the Centre d’éducation populaire Carrefour Marguerite-Bourgeoys in autumn and winter sessions. $10 for a membership at the Carrefour Marguerite-Bourgeoys, to be paid directly to the Carrefour. 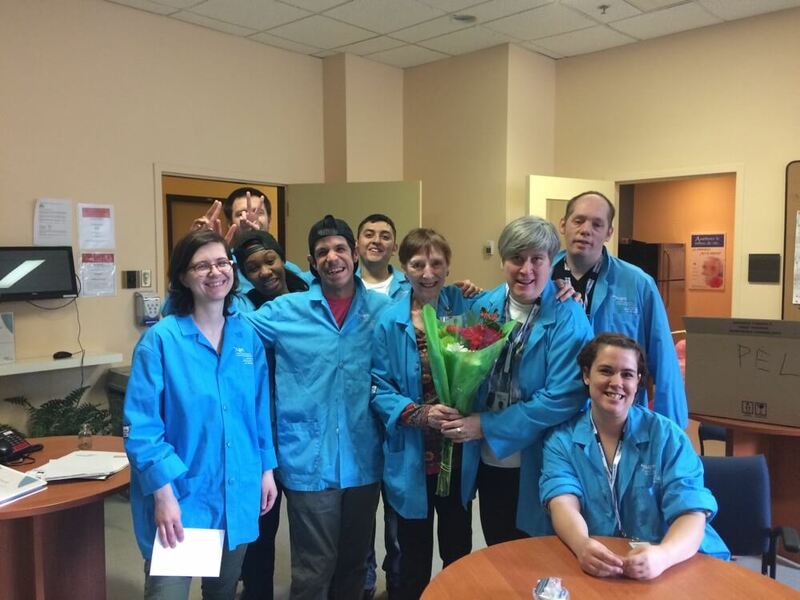 L’Arche de Montréal, le carrefour Marguerite-Bourgeoys, les Accordailles, les porteurs de musique, les ateliers plaisir et saine alimentation, le centre de santé des femmes, le département de pharmacie de l’Université de Montréal, la Place des Arts. 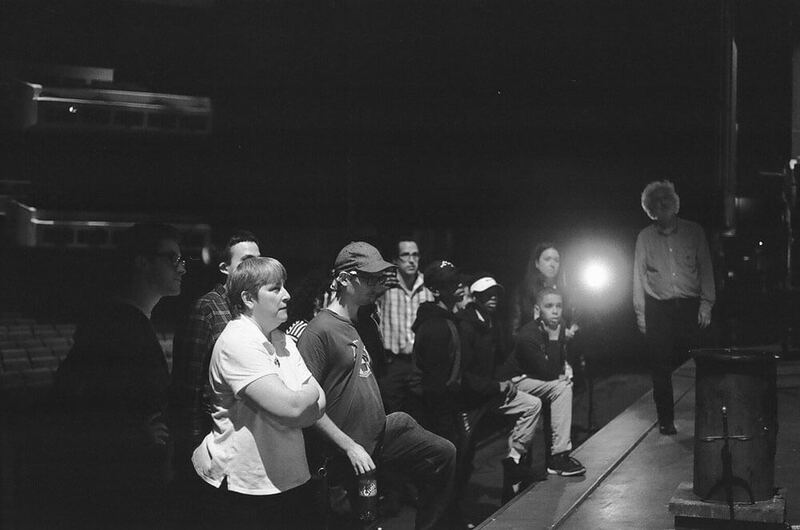 The “It’s Not Always Easy…” workshop series is divided into several themes. The workshops are designed to be practical and to help participants develop skills they can use in their daily lives. The following themes have been addressed since the series began: To Express Myself, To Make Friends, To Keep Fit, To Be Self-Confident, To Talk about Sexuality and Emotional Relationships, and To Organize My Day. All these themes address our participants’ concerns. The workshops are given on weekdays and run from two to three hours. Each week, participants organize activities they would like to do with the other members of the group. The participants can work on their organizational, speaking, and leadership skills so that they can plan activities that relate to their interests. 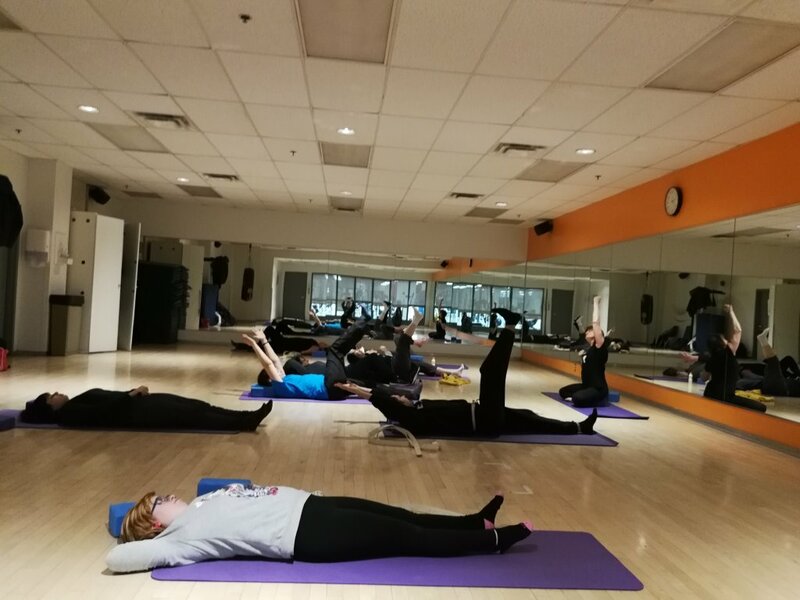 Mondays, from 1:00 p.m. to 4:00 p.m.
It’s not always easy … TO KEEP FIT! A variety of activities will be offered to help participants increase their level of physical fitness (weight training, dance, gymnastics, soccer, etc.). Health-related topics such as nutrition, general health, and physical education will be addressed. There will also be an opportunity to make some healthy recipes. 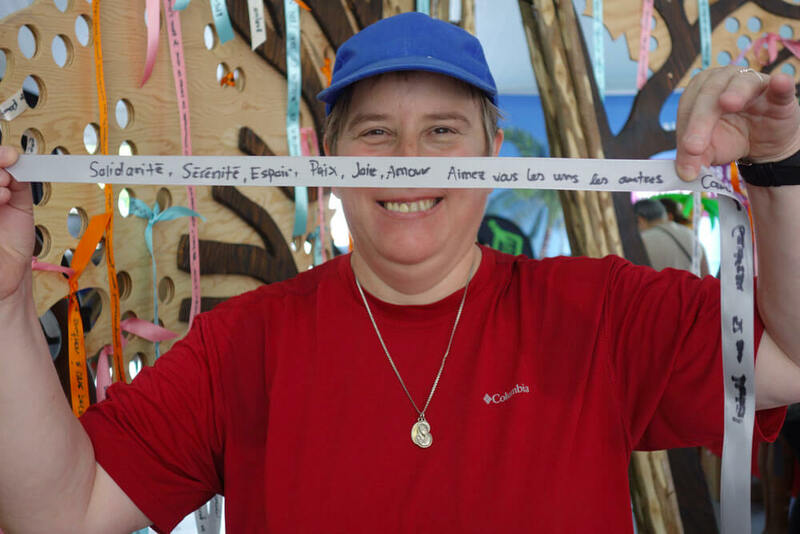 Thursdays, from 1:00 p.m. to 4:00 p.m.
le CREP, Centre de santé des femmes, l’association sportive et communautaire centre-sud, l’écomusée du fier monde, centre de prévention des agressions. Participants explore different artistic styles and methods according to the Art Hives approach, which aim to build solidarity and encourage skill and knowledge-sharing based on peer instruction and inclusion. Fridays from 9:30 a.m. to 11:30 a.m. or from 1:30 p.m. to 3:30 p.m.
90$ for members in good standing. Art Hives of the Concordia University, Musée des beaux-arts, DOD, Bibliothèque de la Maison culturelle et communautaire, Innovation inclusion de subvention de la ville de Montréal. We also work at helping our members develop their skills during the summer months. The six-week summer program features theme-based activities, visits to organizations and outings. Discover new sports and recreation activities. Learn how to make the time for yourself to have fun and to stay healthy and in shape! Express yourself through dance and other activities in a highly varied program! Let your emotions speak, under the guidance of professionals from Les Grands Ballets Canadiens, but also at other cultural venues. With whom are we working? 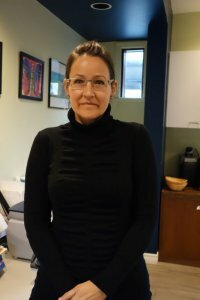 Grands Ballets Canadiens (for Self-expression), Rêvanous, Les jumeleurs, sentier urbain, l’association sportive et communautaire du centre-sud, coop coup d’griffe, Élise Hardy, Bouffe action Rosemont, les olympiques spéciaux Québec. Discover the new activity of the MAIH: adapted yoga. Make time for yourself in order to get some exercise, recharge your batteries and clear your mind. It’s also a perfect opportunity to interact with others in a inclusive environment. Tuesdays from 1:30 p.m. to 3:45 p.m. at the Fall and Winter session. 15$ for members in good standing. L’association sportive et communautaire centre-sud. 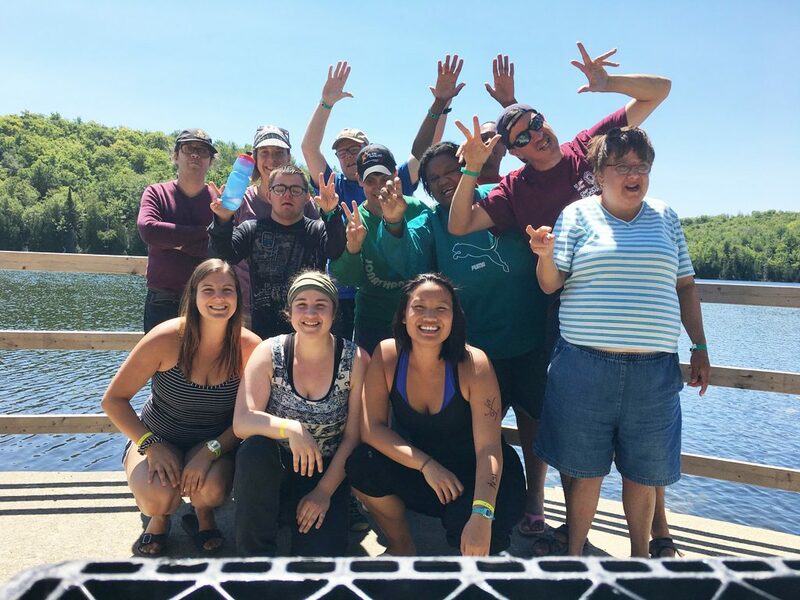 All summer long, the vacation camps held at an outdoor recreational centre allow our members to leave behind their usual routine for an entire week. Ideally, they can participate in activities with other people at the centre (recreational inclusion). These camps help our members integrate and raise their awareness in a different context from usual. The camps are held continuously throughout the summer months of July and August. A big thank to the Fondation Bon départ de Canadian Tire du Québec for their material support which allowed us to put in place a new program “A night under the stars” starting in summer 2018. Camp Saint-Urbain, Plein-Air Lanaudia – village des jeunes, Accès Plein-Air. Our members can enjoy weekends in the country all year long. 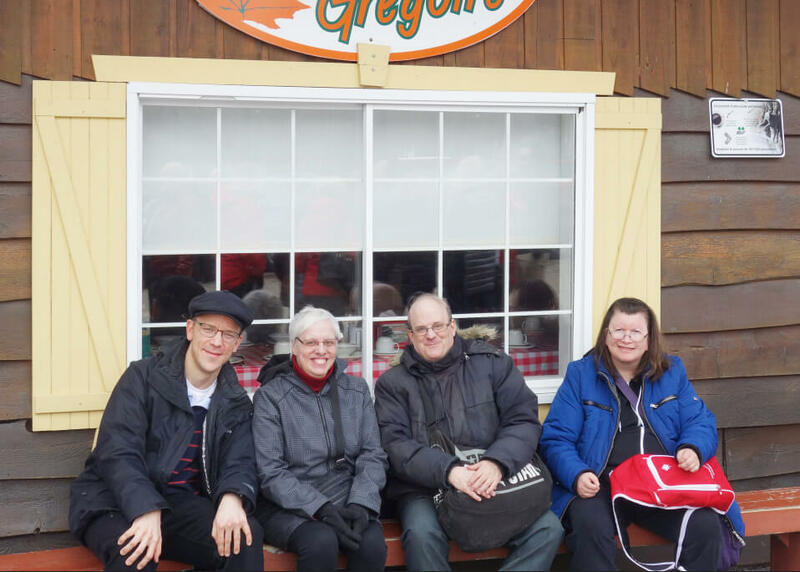 These involve stays at outdoor recreational centres where participants practice their social skills. 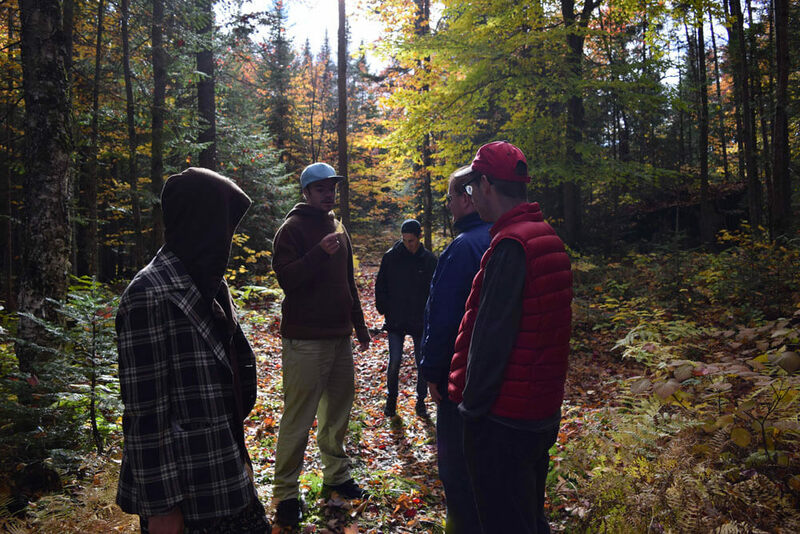 In addition to the outdoor activities offered on site, participants expand their knowledge through discussion groups, special activities, and communal living. The weekends in the country are held once a month. Plein-Air Lanaudia – village des jeunes, Centre Notre-Dame de Fatima, Camp Familial Saint-Urbain, Base de plein air Bon Départ. This program offers members a chance to travel in complete safety and to explore new horizons in a context that allows them to push their limits. Accompanied by facilitators, they stay in youth hostels, take public transportation, help choose schedules and activities, and participate in all the daily chores. This allows them to meet new people and form relationships not only with each other but also with other travellers, while developing their social skills and ability to adapt. 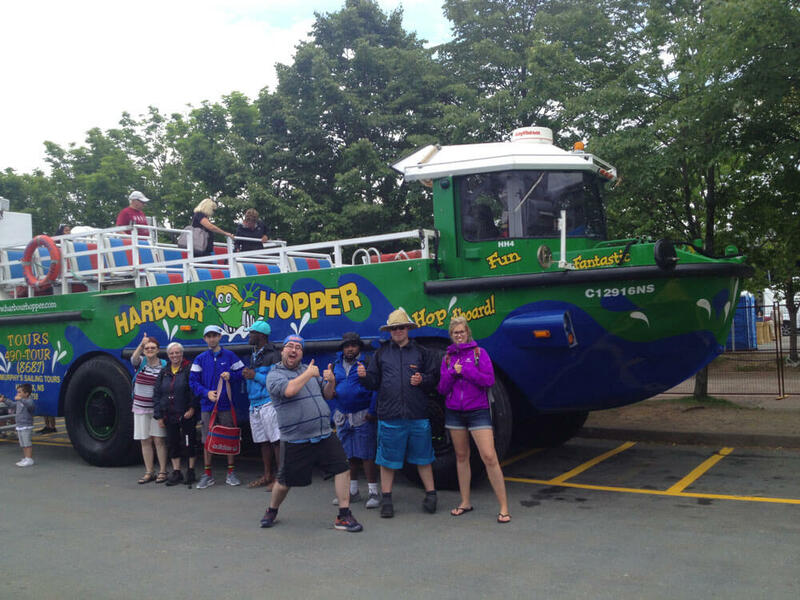 Here are some of the places visited as part of this program: Toronto, Québec, New York, Trois Rivières, Rimouski, Percé, l’île aux coudres, Saguenay, Bouctouche, Baie-Saint-Paul, Halifax, Tadoussac, Shawanigan, Sherbrooke, Mont Tremblant, Niagara Falls, London, Ottawa, Boston, Saguenay, Granby, Moncton, Jonquière, Gaspé et Lake Placid. The next trip will be in New York from April 19th to April 22th. For more information. It’s maple syrup season – join us on an outing to a sugar shack and bring your friends or the entire family! A mini-farm, a taffy pull on the snow and a DJ! Wheelchair accessible. Adults $25 (includes transportation, meal and regular activities). Payment required when registering for the activity. All ages will enjoy this outing to pick apples in the countryside and enjoy the gorgeous fall colours! Site attractions include the small farm, a corn maze, a chance to sample some of the different varieties of apples grown and a picnic area where we can eat together. Don’t forget to bring your lunch! For more information, please contact Renaud Judic at vie.associative@amdi.info or at 514-381-2300, ext. 35. It’s never easy for a parent of a child with an intellectual disability to face the issue of their child’s sexuality. The many aspects to be considered, as well as the parent’s own doubts, tend to become mixed up with the adult child’s entirely legitimate desire for freedom. Over the course of three meetings several topics related to this theme will be addressed. The different experiences of the group’s participants can lead us to further lines of thought. The discussions are led by Annabelle Caron, coordinator of the Centre de santé des femmes de Montréal (Montréal Women’s Health Centre). Madame Caron was a speaker last November during the day-long seminar, organized by AQIS, on countering sexual abuse and violence. 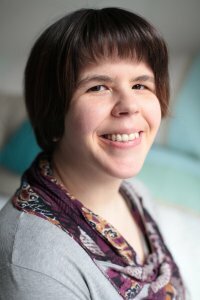 What Sexuality-Related Issues Does an Adult with an Intellectual Disability Have? Security Precautions and Staying Safe in the Era of Social Networks, with invited speaker Dolores Brice, a social worker who will be sharing her clinical experience. For more information, please contact Jean-Simon Provost at soutien@amdi.info or at 514-381-2300, ext. 27. Here some good moments from our activities and our membres at the MAIH ! Jean-Simon is the spokesman of the MAIH for the year 2018-2019. His participation in some activities of the MAIH has allowed him to develop his self-confidence and to be more autonomous! Jacques is very fond of visiting the MAIH team and he always wants to help and get involved in different volunteer tasks, as the MAIH "belongs to him". For 24 years, Luc Berthiaume and his father Robert are members of the MAIH. For Robert, weekends and camps are moments of well-appreciated relaxation! Julie has been volunteering at the MAIH since 2014. Her involvement has been interspersed with a lifetime of living in California for a year and a half. 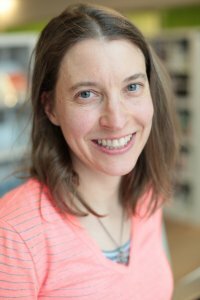 Graphic designer for twenty years now she seeks to reorient. At 45, it’s like a little questioning as she tells us so well. One thing is certain: she loves volunteering at the MAIH and being present with the members of the association in the different outings or helping us with events or direct mail. What does volunteering represent for you? For me, it’s a gift of self, of generosity, but it’s also very selfish because it does us good at the same time. It helps to be less self-centered and that’s very positive. To be listeners, patients, and there are other openings when you volunteer that you might not have seen elsewhere, you get to be more yourself. I have been volunteering a little in California for soup kitchens. 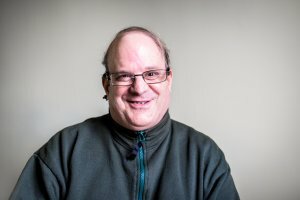 When I came back here, I didn’t want to do that, I wanted to invest myself more and be with a group, and I thought about intellectual disability. Why have you decided to volunteer with us? When I came back to Montreal after California I wanted to, to make myself useful and I found your website. When I was younger, I had a friend who was trisomic and I loved him, so I was always attracted to the cause of intellectual disability. I find those people real, happy. Something about it always attracted me. I prefer being with the members, that’s what I’ve done that Summer, the outings. That’s what I like most, I like to be with them, close. Tell me about a highlight here during your volunteering at MAIH? My first day! Amélie told me “listen, we meet there” and I have only seen her on the internet, so I got there and I was looking for her, stressed, and she put me with Céline. So Céline starts talking to me and was a little shy, and I saw other members since there was a painting expo. But at the end, I spent time with her and Amélie really trusted me; it was a great moment. And as an artist, all the art I saw that night, all the dynamic of pride, it really touched me! What has it brought to you until now? It allowed me to be less self-centered, it brought me joy. I find them real, each has a different personality, there is no judgment. I find that there is a lot of judgments nowadays, it’s incredible, so I tell myself, in this environment of volunteering, it reminds me of this. Not to judge people, everyone has its place, everyone is important despite the differences. They have a place, and that’s what Amélie tries to do, so I find her work admirable. I like her a lot, she’s a great girl. What have you got to say about MAIH? People are all devoted here. People are at their place, members are well organized, they have a lot of things to do. It’s a nice organization, there are a lot of activities for members and they are well surrounded. MAIH, it’s super devoted people and a winning formula. This is how I see them, I don’t know everybody at MAIH but it’s really a nice association. Good thing they are there. I wouldn’t come here if this wasn’t good! People look happy too. And also I’d like to add that I’m a really positive person in life, but I had to face very negative events. When I come to MAIH, members are so positive, they don’t think about that, they have a path, an activity, and they put their heart into it and that’s not complicated. It teaches me how to dedramatize. 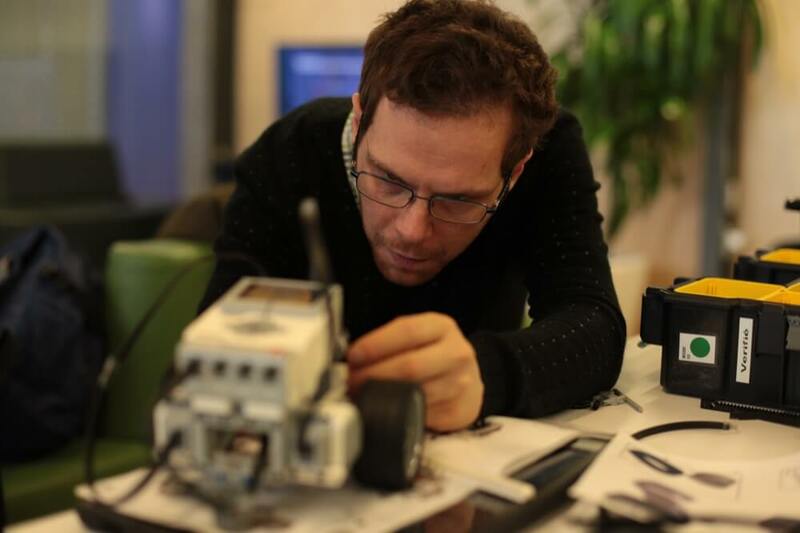 Jean-Simon joined the MAIH three years ago, when he was 18, because he wanted to become more autonomous. 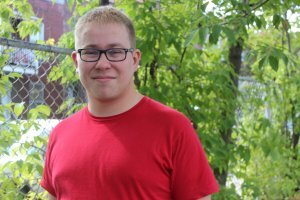 He tells us, “With the MAIH, I mainly go on trips with Broaden Your Horizons and I participate in Opening Doors to Montréal and What’s happening in Montréal. Thanks to those activities I became more independent and I have learnt how to cool ! I have also discovered new places and I made many friends that I see now outside the MAIH”. Finally according to Jean-Simon, the MAIH is synonymous with pleasure, security and commitment.  Véronique has been a member of the MAIH since 2001 but has sometimes stopped participating in the activities of the association due to a job. She has participated in activities for some years now, which allows her to have a lot of fun! What do you prefer about Opening Doors to Montréal and What’s Happening in Montréal? I like visiting Montreal because we do not really have the chance to visit the city like people who are in resource! I am lucky to be able to discover the festivals in Montreal and all of that especially with my boyfriend who is also a member of the MAIH. It’s been almost three years since we’ve been together! Are you going back to the places you have visited through these workshops? Yes I like to go back with my boyfriend and my mother. What makes you proud when you are at these workshops, during your activities? I like everything I do on the workshops! But we meet at metro changers by ourselves and my mother does not come all the time to accompany me, except when I do not know the place. When the activity is over, I go home alone or with my boyfriend. How do you like to participate in group activities? I like that but at first it was a bit difficult because there are people I like less but I try to work my patience! And I have my boyfriend and other friends so it’s fun! What do you want to say about the MAIH? The MAIH is really fun, it’s good we have nice outings, for Christmas holidays we have a dinner at the hotel governor where I like to go with my boyfriend. We went to see a show of great Canadian ballets. Jacques is very fond of visiting the MAIH team and he always wants to help and get involved in different volunteer tasks, as the MAIH “belongs to him”. What kind of volunteering have you done at the MAIH? 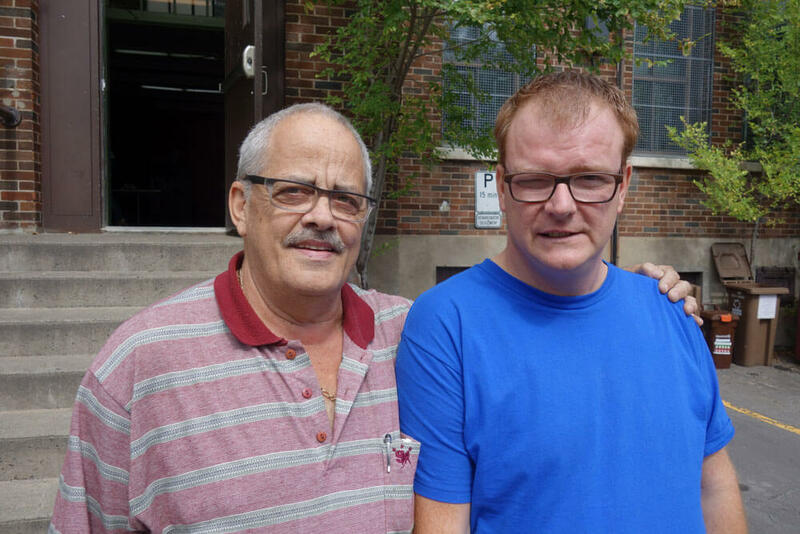 People need help, I had a meeting with Renaud (association life coordinator at the MAIH) and we discussed the changes for the MAIH, because the MAIH also belongs to me – Jacques joined recently the members’ committee. It’s been two years that I distribute flyers and I like it because I worked hard, I was standing and there were many people (distribution of the souvenir programs of the enCirquez-vous gala benefit evening) . I’m patient, we had a package of flyers and I gave everything (we were two people). I was the first and I took the time to give everything, and it was an incredible success. Have you participated in other activities? I have sent postal solicitations, I can still help you, I’m here for that. Because I have decided to do that people need help and it’s important to work as a volunteer for me. If the MAIH needs help, I’m here to help you as much as possible. For me I did my job well, I took the time helping people, whether standing or sitting. So I worked very hard for that. The group appreciated me, people saw me and appreciated what I did. For you this fall, what does a weekend of respite mean? It’s marvelous, it’s great for Luc to go see his friends but it’s also good for parents to relax, to have an occasional break. It just feels good! How do you take advantage of your respite week-end? It gives time for a family visit, as we avoid costly outings since we live on a fixed pension. We are able to relax at home or go for walks. During the fall season, do you have other moments of respite? Yes we also have another group that gives a weekend respite but Luc really prefers going to the MAIH’s outdoor camps (Montreal). Of course, they are sometimes skipped [weekends of respite] because we have to live within our means, as our budget limits what we can do. It gives us moments of relief and needed rest as we are also aging. It gives us the opportunity to relax a bit, because we are so bound and captive to Luc. It relaxes us, we are getting older so we have less patience, and so need more rest time. When he leaves, we are happy but the respite week-end goes by so quickly. Still we are satisfied with what we have, because there are others who do not have any respite. Marie-Eve is a dynamic young woman, with a head full of projects. In 2017, she played in the short film “Rest, I do not want to be alone” of the director Gabriel Savignac. 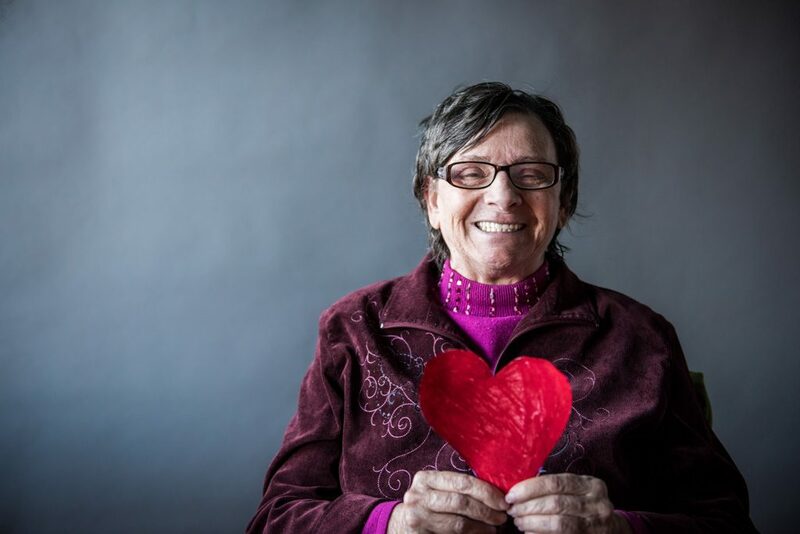 She lives alone in an apartment since a year and she loves having her independence. She also enjoys going out with her friends and enjoying many cultural activities. In a day what is difficult for you? Getting up, it takes me a few seconds to get up in the morning but after that I’m motivated to start my day. Do you need help with some tasks? I would like to redo a movie project, to be surrounded by the people I love. The cinema is something that I like a lot and when I did my project I was very focused, motivated. It really stimulated me a lot and then I was with people of confidence and it helped me a lot. To be continued! What are you good at, what do you like to do? Cooking ! But I am not good at housekeeping. I do it once a week but I have to motivate myself! I like to go out with friends too and do shopping! I am often with my mother, we go out together and I like to be with my family. I also like to go on cultural outings. I try to go there quite regularly but being at school is a bit more difficult. What do you like about people around you? I love their listening, their sensitivity. When I explain my situation some people do not understand well and are not sensitive but other are. Those who have an intellectual disability or an autism spectrum disorder but have the potential to go to work, I will tell them to go, to go beyond their limitation because in life everything is possible. As a matter of fact, I succeeded. Mathieu is a member of the MAIH since 2017! He is a 22-year-old man who is always playful and enjoys participating in MAIH activities, especially on the Weekends in the Country. In addition, he gives us a hand for our project this summer with Ville-en-Vert. Mathieu, where are you going tonight? Why do you go to Weekends in the Country? To talk to new people, make new friends and have fun. What do you prefer as activities during the Weekends in the Country? Normally I like them all but I especially like doing outdoor activities but also indoors sometimes. What are you most proud of in camp? To meet new people and make new friends. And when my friends come back too, I feel proud. Being away from my family is the hardest. Also the fact that there are many people. During every one of the 21 years that Lyne Blain has been a member of the MAIH, she has participated in MAIH’s summer vacation camps. For Blanche, Lyne’s 88-year-old mother who lives with her, and for Louise, her sister and guardian, it’s a special time that for them means rest. Are these the only times during the year when you have a break? No, we also have an occasional weekend break thanks to MAIH activities. Do you only ever get a complete week off during MAIH’s summer camps? Yes, because Lyne works at a supervised day job during the year. What do you do during these summer camp weeks? We use them to catch our breath. My mother lives with Lyne and sees to her daily needs, so these weeks give her a chance to rest. As Lyne is a very active person who likes to get out a lot, the weeks when she’s at summer camp give my mother a chance not only to rest, but also to think a little more about herself, while Lyne has an opportunity to socialize with others.